When I recently visited Bali, I stayed at a boutique hotel in Ubud. This peaceful town has a long spiritual history but gained worldwide recognition after Eat, Pray, Love. Located in the highlands of Bali, Ubud is surrounded by lush jungle, making it the perfect retreat. During my stay, I participated in a traditional purification ceremony and chakra reading. This is the place to unwind and regroup, with plenty of options for relaxation—from yoga retreats to spa getaways. However, Ubud is home to no end of exciting experiences, too! Everywhere I go, I love strolling through markets and shops selling local handmade goods. It’s fascinating to discover the impressive skills necessary to create these products, and there’s nothing I’m more passionate about than supporting local artisans. I’ve bought some of my favorite dresses in Bali, where artisans are known for their elegant textiles. Intricate wood sculptures are another popular item for sale, and it’s easy to see why. It’s impossible not to become enthralled by the mesmerizing carvings. I’ve traveled to over 80 countries, but Balinese temples are among my favorites. On my trip, I visited Uluwatu Temple, an impressive Hindu temple located on steep, rocky cliffs that overlook the turquoise sea. The striking panorama is simply awe-inspiring and a must-see for anyone traveling to Bali. I also toured Ulun Danu Temple, which sits on calm waters with a mountainous backdrop. For a truly one-of-a-kind experience, head to the three temples within the Ubud Monkey Forest. 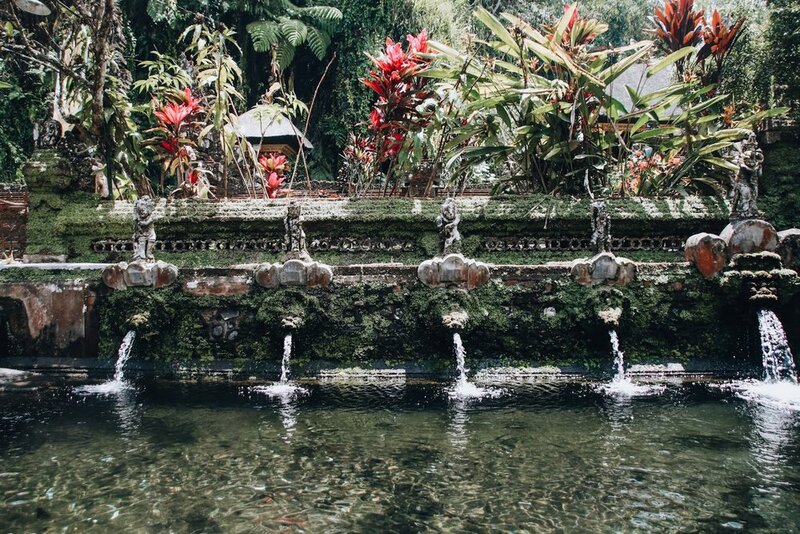 This sanctuary is home to the Balinese long tailed monkey, and these playful creatures love to put on a show as they swing from the trees and lounge on temple steps. Dance is integral to Balinese culture, and the different kinds all have unique histories and significances. Watching graceful dancers in bright costumes with elaborate headpieces tell stories through practiced steps was a highlight of my trip. I couldn’t tear my eyes away from the mystical movements, and I felt a deep connection to the island’s culture. Nusa Penida Island is heaven. Its ethereal beauty feels too good to be true. Located just southeast of Bali, it’s the ultimate day trip destination. I went snorkeling around the island’s vibrant reefs, swimming with peaceful manta rays, gentle sea turtles, and countless colorful fish. There are caves to explore, beaches to lounge on, and scenic routes to hike. If you’re planning a trip to Bali, definitely consider adding Nusa Penida to your itinerary. 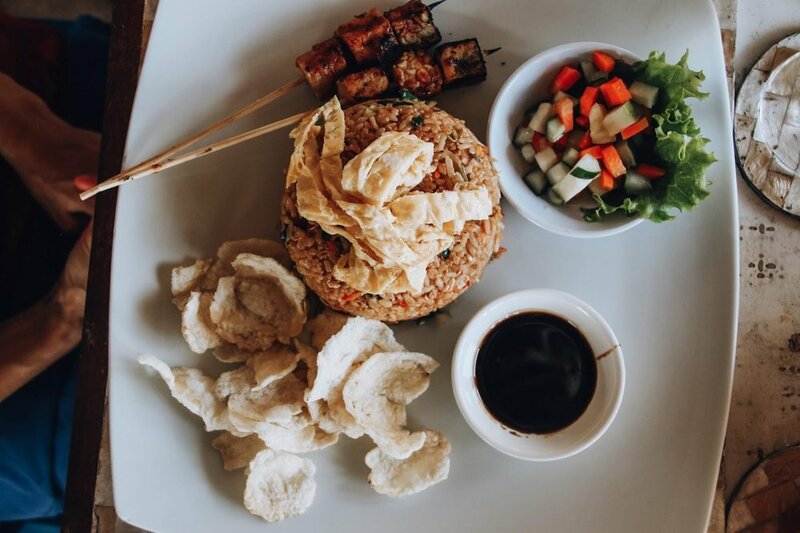 Bali has mouthwatering cuisine, and there’s no better way to learn about the culinary culture than by taking a cooking class. I learned how to cook traditional dishes utilizing spices, fresh produce, meat, and fish. Of course the best part of a cooking class is getting to dine on your tasty creations! Before we began cooking, we even had the opportunity to tour the nearby spice garden. It was fascinating to see where the ingredients came from and the farming methods the locals used. Although I’m not a surfer myself, Bali is a surfer’s paradise. There’s something for everyone, from beach breaks for beginners to massive barrels for the pros. Bali has some of the best surf, especially around the Bukit Peninsula. But no matter where you go, there’s always a swell. It’s easy to get to know other travelers and locals in the surf scene, and if you’ve never surfed before but feel the call of the ocean, then you’re in luck—lessons are available at just about every main beach. Bali’s iconic rice terraces are an absolute must-see destination! You can find them across the island, but I visited Ubud’s renowned Tegallalang Rice Terraces. Rows of verdant paddies rise towards the sky, lined by towering palm trees. It’s a sight to behold, especially when golden light bathes the lush landscape—a scene just begging to be photographed. Bali’s beauty is already hard to beat, so imagine it at sunrise. During your tropical getaway, I recommend choosing at least one day to wake before dawn and see the sunrise. Watch as the world awakens with dusty pinks, purples, and oranges dancing across the sky, giving way to the blazing sun. It’s an indescribable moment of beauty that’ll last with you forever. There’s so much to discover on this remarkable island, so put on your hiking boots and get exploring! Trek a volcano for unparalleled views, explore Bali’s gorgeous secret caves, or traverse through thick jungle to breathtaking hidden waterfalls. The possibilities are endless, and every adventure is paired with unbelievable splendor. To read more about my time in Bali, check out my daily travel journal on my blog.